Here are some practical writing tips for using illustrations in devotionals. Q. What is a devotional illustration? The illustration is one of three parts of a devotional: scripture, illustration, and takeaway. It is the devotional’s main body, sandwiched in between the scripture and the takeaway. The illustration connects the devo’s spiritual truth – its point – to a real-life situation. It does the “heavy lifting” in the devotional. Q. How long is an illustration? I’d love to say, “as long as it needs to be” but since the illustration represents the bulk of the devotional, let’s be practical and give a word count. 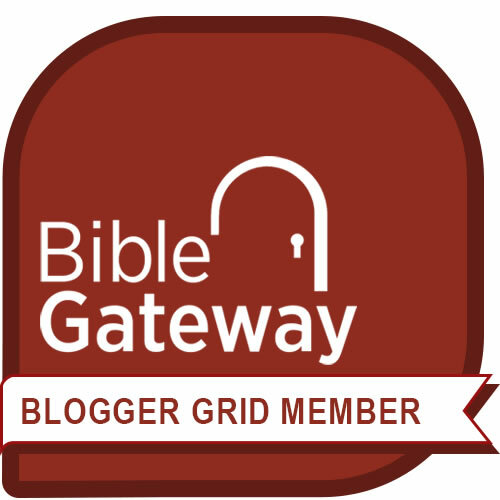 A typical devotional is 200-250 words. The scripture and the takeaway clock in at approximately 25 words each, give or take – depending on content, of course. That leaves 150-200 words for the illustration – about 60-80% of the entire devotional. That’s a helpful piece of information to know when you need to write longer devotionals. For instance, say an editor publishes 400-500 word devotionals. A bit of quick math tells you that the illustration should run 250-400 words. Q. I’ve figured out the point I want to make. How do I choose an illustration for my devotional? 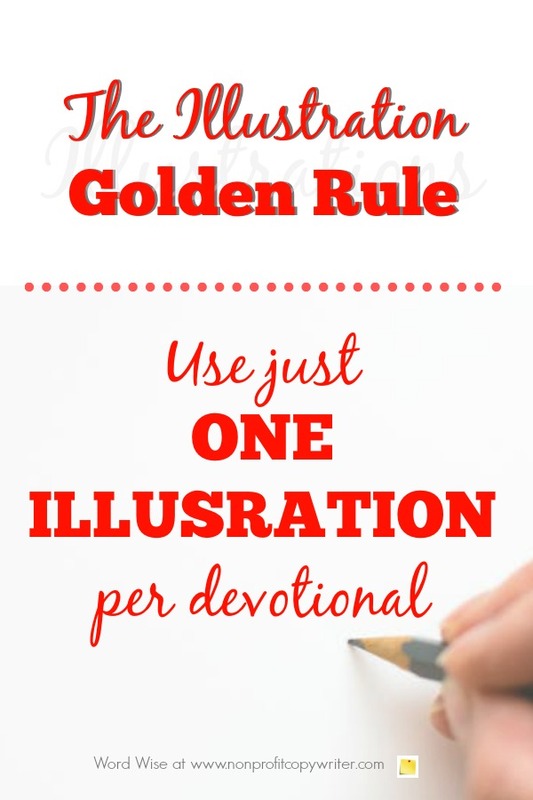 You can use nearly limitless means to illustrate a biblical point (here are 8 kinds of illustrations to consider), but be sure to follow the “Illustration Golden Rule”: use just one illustration per devotional. Don’t share a fascinating fact to make your point and then tack on an object lesson. Reason? Too many illustrations distract your reader and can dilute your point. Target one truth with one illustration. Q. Must I include the devotional’s point as part of the illustration? You must connect the dots between the illustration and the point. How you choose to do so is your decision. The illustration is a word picture that communicates that point. An illustration, by itself, is not enough to complete your devotional. You need to explain in plain language how your illustration connects to your point, whether you weave in the short sentence you prepared beforehand or with new language that connects the dots to the illustration. You’re not done until you make that connection for the reader.